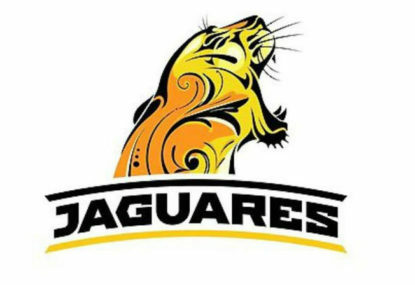 How will the Jaguares fare in 2019? The fourth season of Jaguares in Super Rugby is about to begin and it comes with many changes in a special year, as we have a World Cup knocking at the door. Can Mario Ledesma turn Los Pumas around? 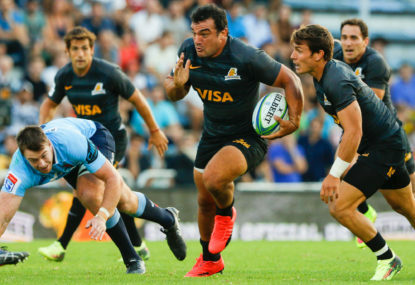 The poor results of the Pumas and Jaguares over the last two years led the Argentine Rugby Union (UAR) to make changes in their organisational scheme from the small and young – but important – professional Argentinian rugby that had been in the hands of Daniel Hourcade. What difference will Mario Ledesma bring to the Jaguares in 2018? 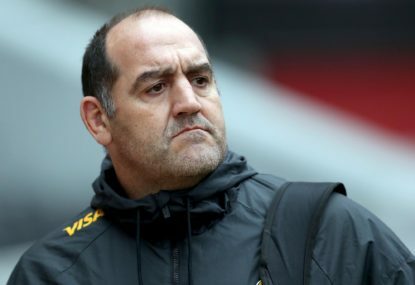 The Jaguares have made an important change ahead of the 2018 Super Rugby season, with Mario Ledesma taking over from Aspirina Perez as coach. I took a break for this third instalment of the year. The previous two concentrated on analysing three key elements: a possible problem with the path chosen by the Unión Argentina de Rugby (UAR) regarding professional rugby in Argentina, this path’s its consequences on the results and the evolution of their game. Super Rugby action for the Jaguares on the field is over, but it is still very much alive at the desks of the Union Argentina de Rugby (UAR), the media and social networks. By definition, the Spartans were warriors marked by self-discipline, simplicity, frugality, undaunted by pain or danger. Is rugby in Argentina following the right path? 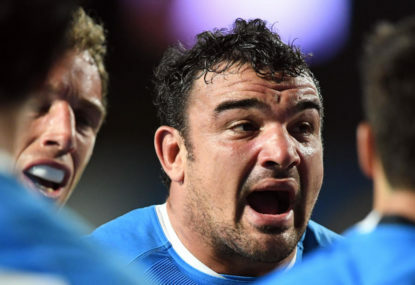 Given the giants steps that Argentina has taken in the last ten years in trying to become a power nation in rugby, I imagine it has not been easy for the foreign casual rugby supporter to understand the Argentine process. The Jaguares began the 2016 edition of Super Rugby as the Cinderella that hoped to at least make it to the playoffs, but the reality check quickly came along for the debutantes and they finished with a very poor record, playing poor rugby. Belgrano Athletic, one of the four founding clubs of the Argentina Rugby Union (UAR) in 1899, had to wait 48 years to get their 11th title. One of the most important young players of Argentina is Pablo Matera, with an amazing growing performance both in the Pumas and Jaguares. I would like to introduce you a young man that carries the responsibility of stepping into the breach when Argentina captain Agustin Creevy (31) exits or is not available to command the front line of the Pumas. The circle continues, the Lions won over the Chiefs away while the Chiefs won over the Jaguares in Buenos Aires three weeks ago. It is very easy round, nothing really happened , only that A. Smith miraculously recover from injury and will be on the bench against the Blues. Canes will not play with three of their stars, I. Folau is doing whatever he can to get his money or earn his right to play, and now the Lions coach is flying back to SA. Also the defence coordinator , Joey Mongalo was sentenced in Sydney and faces internal disciplinary hearing. 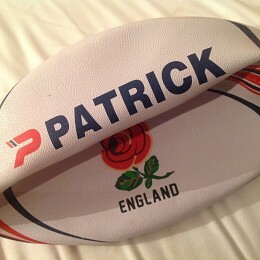 Pocks will not even go to the bench against the Sharks . Well, nothing serious, just another week in Super Rugby. Stormers and Jags will make the cut. Food for my thoughts. Tnx Nick. May be. There is a good chance that may happen. Easier road than the other ones in the conference with the exemption of what the Stormers face to the finish line. Well, they lost to the Lions in their first game and to be honest it was the lack of friendly games before the season started. The other game they lost against the Chiefs in the last play of the game. I think Jaguares will take the conference. Only need to win their home games one in the four game tour they have left to make it happen.. I hope that is the case and make things very interesting. There are many actors, singers, ect. that have no interest on being role models, but they made them anyway. I disagree , they are other players that have signed the same contract that do not have the same exposure. The outcome of the Rebels vs Tahs this weekend it will be very important. If the Rebels win then will be al leat ten point clear on the top which is a big advantage, in the other hand if they loose confidence will play a big role and the Tahs may take the conference. You are commenting here and I think you do not want to be role model. Even if he wants to be he dies not has to be the role model that you like . It is up to you to listen or not. May be it is good to listen and come to the conclusion that IF posts are worthless. Like I did. But then, that is your choice. I believe t most people are smart and will be able to make decisions and the very few that are not, need help. I think it all about money and nothing else. There are a lot of morality issues that people are bring to the table ( such as influence on kids , which IMO should be taken care at home or with an specialist) that really has nothing to do with this. Let focus in what the real problem is. AR has been monetary affected and AR should deal with his employee like he has done in the past. Period. May be yes or may be not. Who are we to judge his intention? He will only make a contribution to those willing to listen to him. I am not willing to listen to anything IF has to say that has nothing to do with rugby. I have tolerance about his ideas but that is about it. Well , it is what i think. I never claimed to be perfect!!!! I am talking about what happens after IF gets the boot out of rugby? He will still a high profile person, even higher, and may have a bigger impact on his comments. What do you do with him then? Piru, who made him a role model? No he lost his freedom of speech and believes? Someone should take care of the ones that feel affected for his comments because they will affected for so many other things in our everyday life . May be a psychologist could help. Ok, lets say that IF gets kicked out of rugby and decides his life will dedicated to preach the word of God and read out the bible to who ever decides to listen. He becomes very popular at it and every Sunday thousands of people turn on the radio and he says exactly the same words he is being bullied about it. Then what? Prison? Electric chair? Hi Piru, I do not think that that IF has to be responsible for the the struggling of anybody., kids , adults, teenagers. What about a teenager struggling with alcohol? Is IF responsible for him as well? I do the same with all the sports, not only soccer. First try from Orlando I enjoyed the most , out from practice field.